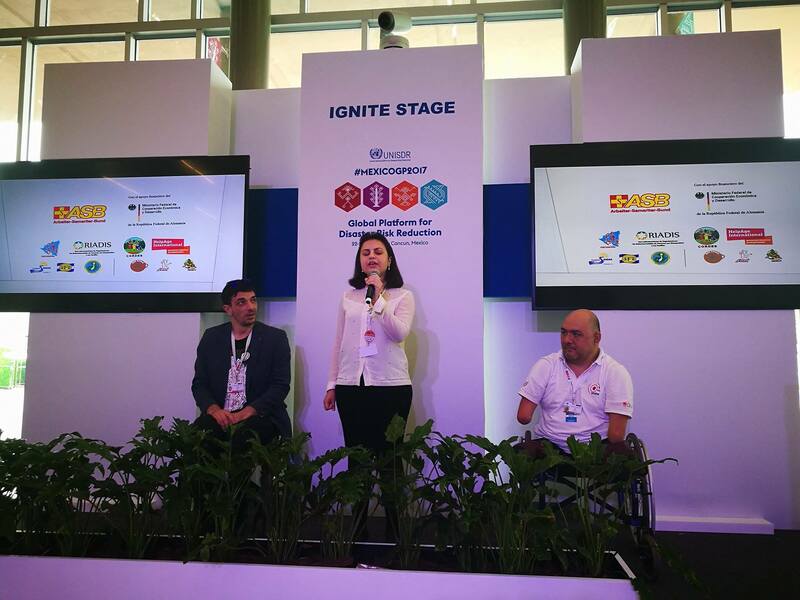 I participated in the Global Platform for Disaster Risk Reduction 2017 as a member of the official Georgian delegation representing the community of women and youth with disabilities. 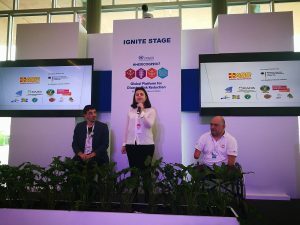 Being held in Cancun, Mexico on May 21 st to May 26 th 2017, the conference was the first global platform to monitor the implementation of the Sendai Framework for Disaster Risk Reduction (SFDRR). The SFDRR is the first disaster risk reduction (DRR) framework recognizing persons with disabilities as major stakeholder group in DRR. It is emphasizing the importance of inclusion of persons with disabilities in decision-making, preparedness, response, recovery, shortly all level of DRR process. It is essential to involve persons with disabilities in DRR activities, whether or not they have pre-existing experience in DRR. By participating in DRR activities, persons with disabilities could themselves realize their capacities, rights, skills and needs and later share with the rest of the community. Disability inclusive DRR has to be a concern of all DRR actors, as when disaster strikes persons with disabilities would have to cooperate with mainstream community, as they don’t live separately. Persons with disabilities are disproportionately affected by disasters. In some cases, there are even additional barriers in protecting and evacuating themselves in emergency situation. Therefore, persons with disabilities have to be taken into consideration in preventive measures at all level. Good practices and successful stories could be a powerful tool to promote participation of persons with disabilities in DRR. Women and girls with disabilities are at greater risk of disaster. Real actions are needed for inclusion of all, including women and girls with disabilities, in DRR. Inclusive DRR could be a key to inclusive society. Inclusive DRR is about the dignity and value of persons with disabilities to the community. Finally, I emphasized that participation of persons with disabilities in DRR is a key indicator that no one will be left behind, that there will be no so called “second class” or “less important” persons, that everyone is considered to survive and that everyone is equally valuable for the society.